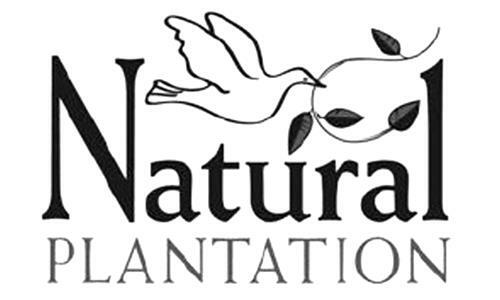 On Friday, November 21, 2008, a canadian trademark registration was filed for the above pictured logo by Natural Plantation Inc. Box 179, Margo, SASKATCHEWAN, CANADA S0A2M0. The Canadian IP office has given the trademark application number of 1419064. The current status of this trademark filing is Registration published. The correspondent listed for is FILLMORE RILEY LLP of 1700 - 360 Main Street, Winnipeg, MANITOBA, CANADA R3C3Z3 The trademark is filed in the description of Nutritional supplements, namely, purslane powder; nutritional and food supplements, namely, vitamin and mineral formulas, herbal laxative formulas, tinctures; fruit and vegetable washes. , Personal care products, namely, skin crème lotions, bath oils, bath lotions, bath and shower soaps, bath and shower gels, bath and shower creams, hand soaps and crème rinses, facial and skin oils, facial and skin tonics, facial and skin cleansers, facial and skin masks, facial and skin toners, hand and body lotions, skin moisturizer, skin cream, facial cream, bubble bath compositions, herbal bath essence, body wash, personal deodorants and anti-perspirants; colognes and perfumes for men and women; hair care preparations, namely, hair coloring, hair dressings, hair spray, hair rinse, hair shampoo, hair conditioner, hair groom creams and gels; scalp care preparations, namely, non-medicated preparations for treatment of dandruff, dandruff shampoo, creams, gels, and conditioners; non-medicated ointments for the treatment of burns, rashes and minor skin disorders; mouth fresheners; after-shave lotions, shaving cream; denture cleanser; toothpaste; mouthwash; tooth whitener; antiseptic sprays and soaps; baby skin oils; baby skin ointments; baby hair shampoo; after bath and after shower splash-on perfumes; sun screen, tanning lotion; cosmetic cleanser; skin refreshener; skin oil; hand lotion; dentrifices; body lotion; impregnated cloths, puffs and sponges for cleaning and cosmetic purposes; hand sanitizers, cleaners, disinfectants and antiseptics. , Cleaning preparations, namely, concentrated all-purpose liquid cleaners for household and industrial use, powdered laundry concentrate, laundry cleaners, liquid concentrated household cleaner, household disinfectants, scouring paste, particulate dishwashing concentrate, dishwashing liquid, dishwashing compound, algaecidal concentrate, germicidal concentrate, room refreshener and deodorizing preparation, rug and upholstery cleaners; bug sprays; cleaning cloths and sponges; fabric care products, namely, fabric conditioner and softener, fabric cleaners, spot removers; shoe and sock spray. , Nutritional supplements for pets, namely, purslane powder; coat shampoo and conditioner for pets. .
(1) - Nutritional supplements, namely, purslane powder; nutritional and food supplements, namely, vitamin and mineral formulas, herbal laxative formulas, tinctures; fruit and vegetable washes. (2) - Personal care products, namely, skin crème lotions, bath oils, bath lotions, bath and shower soaps, bath and shower gels, bath and shower creams, hand soaps and crème rinses, facial and skin oils, facial and skin tonics, facial and skin cleansers, facial and skin masks, facial and skin toners, hand and body lotions, skin moisturizer, skin cream, facial cream, bubble bath compositions, herbal bath essence, body wash, personal deodorants and anti-perspirants; colognes and perfumes for men and women; hair care preparations, namely, hair coloring, hair dressings, hair spray, hair rinse, hair shampoo, hair conditioner, hair groom creams and gels; scalp care preparations, namely, non-medicated preparations for treatment of dandruff, dandruff shampoo, creams, gels, and conditioners; non-medicated ointments for the treatment of burns, rashes and minor skin disorders; mouth fresheners; after-shave lotions, shaving cream; denture cleanser; toothpaste; mouthwash; tooth whitener; antiseptic sprays and soaps; baby skin oils; baby skin ointments; baby hair shampoo; after bath and after shower splash-on perfumes; sun screen, tanning lotion; cosmetic cleanser; skin refreshener; skin oil; hand lotion; dentrifices; body lotion; impregnated cloths, puffs and sponges for cleaning and cosmetic purposes; hand sanitizers, cleaners, disinfectants and antiseptics. (3) - Cleaning preparations, namely, concentrated all-purpose liquid cleaners for household and industrial use, powdered laundry concentrate, laundry cleaners, liquid concentrated household cleaner, household disinfectants, scouring paste, particulate dishwashing concentrate, dishwashing liquid, dishwashing compound, algaecidal concentrate, germicidal concentrate, room refreshener and deodorizing preparation, rug and upholstery cleaners; bug sprays; cleaning cloths and sponges; fabric care products, namely, fabric conditioner and softener, fabric cleaners, spot removers; shoe and sock spray. (4) - Nutritional supplements for pets, namely, purslane powder; coat shampoo and conditioner for pets.